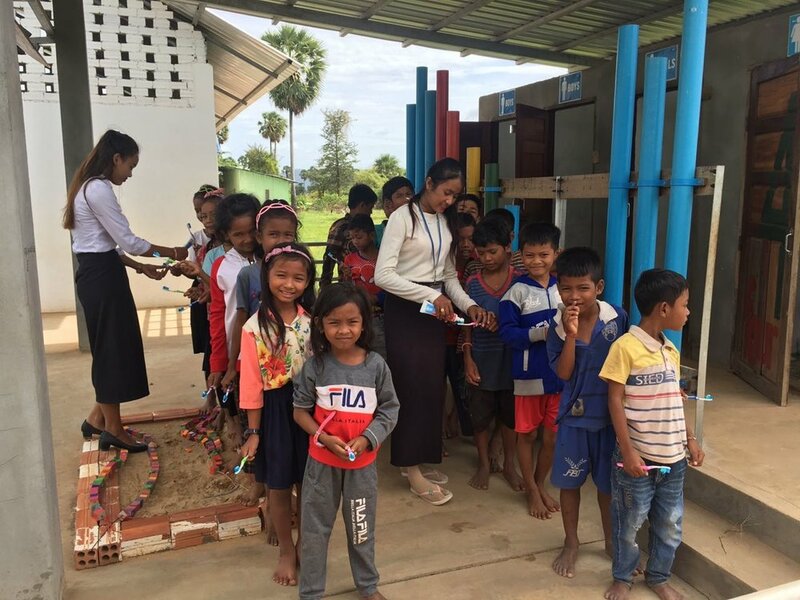 History: In June 2015, CCAF establish an English Language Center in Trapeang Andong Village, Oudong District, Kampong Speu Province, in southern Cambodia. The project involves primary and secondary school students from 7 to 15 year old. Funding Partners: iHerb Charitable Foundation (3rd classroom-office and teacher dormitory, electricity connection and operation cost), Lee Foundation (initial set up-1st classroom), St. Patrick’s Day 3 Legged Charity Race, Copenhagen (annual fund raising-2nd classroom), Ying Wa College-IDEA Foundation (4th classroom, toilets and playground), OLEA (library, female teacher dormitory and hygiene care [soaps, toothpastes and tooth brush] for English language and preschool students), Buddhist Library Cambodia Project (rain water tank), and Shras Khleang Primary School (students desks). Individual donors: Phil Nelson and his friends (USA-solar lamp), Ms. Teng Sima (students tables), Yau Lam Yiu (friend in Hong Kong-solar system, tablets, LCD Projector for English Language study. He also created the CAT project as part of way of teaching basic English for preschool students and English language students. 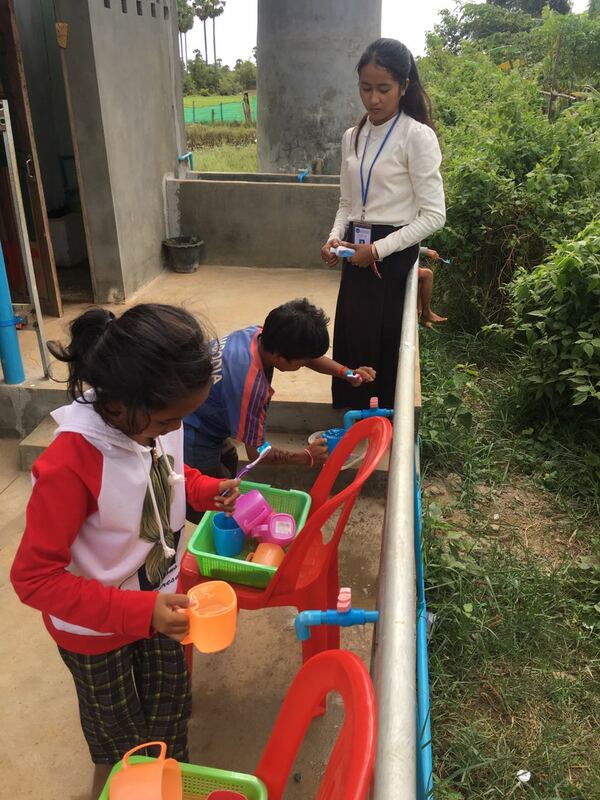 Although, this project is not implemented now but we will do in the near future), Robin Chan, Ms. Evelyn & Ms. Shang Wang (soaps, toothpastes and tooth brushes). We will update the info about donation regularly. We thank you all for your support. Clip below: The activity shows the students maintain their friendly relationship with classmates. July 5, 2018, CCAFO English Language Center: Mr. Clock, what is the time? It is a game that produced by Ying Wa College Students, Teachers and IDEA Team. Local Teacher Chin Heng teaches students who join the starter level how to write the alphabet.